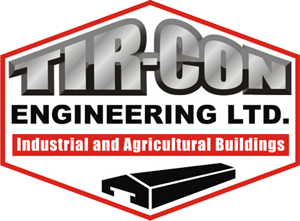 Tir-Con is a design-and-build company, with an international reputation for providing the best solutions available today. Our reputation for quality and reliability is well known. With over 30 years experience in the highly specialised business of constructing steel framed poultry, dairy and beef units, we have many satisfied customers across the island of Ireland and through the whole of the UK. We also specialise in industrial buildings which are engineered to the customer’s specification. We're confident that we can provide quality housing solutions on site wherever they are required. Each project, irrespective of size, commands personal involvement from concept to completion. Our customers can rely on our depth of knowledge and experience to achieve the best results, from producing plans, drawings, organising site meetings or liaising with sub-contractors. We realise every farmer and producer has their own set of individual requirements, budget and way of working. By working in close partnership with our clients and our awareness of new changes and practices in the industry, we are able to provide a building solution that will make a difference to their bottom line. Download our Industrial, Agriculture and Poultry Housing Brochure.